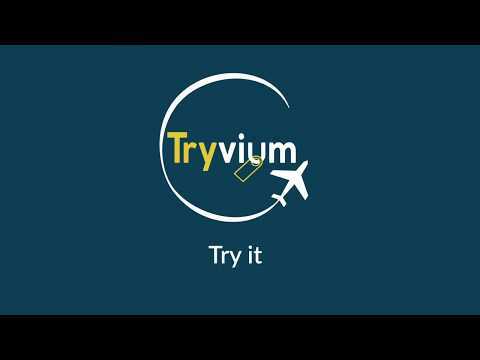 Tryvium is a modern platform for booking hotels, apartments, B&B, and other accommodations. The technology incorporates the use of blockchain along with smart contracts systems to deliver real-world solutions to the industry challenges. Using Tryvium infrastructure, users can purchase tokens to make transactions and make reservations at the platform. The assets management can be done through a multi-currency systems entertaining different economic models; both crypto and fiat currencies. The market penetration will begin from Europe where the users of the platform will make most contribution and product feedbacks. The service will encourage users to use and support other users of the platform. The platform enables better user-experience, well-developed travel plans, lower intermediary charges, and enhanced reliability. The platform eliminated redundant mediators hence giving low transactions and service costs. The service charges are merely 8% whereas the industry giants usually charge up to 30% of the total sales. This means Tryvium will be able to deliver better services to the users for reasonable prices. The platform is soon set to launch the Trivium Gift Experience along with the several different services. The Gift Experience will enable you to gift your loved ones the pleasure to choose their favorite destination. It will be offering them hand-picked experiences all across Europe. Tryvium infrastructure will deliver a decentralized network to create a cost-effective booking platform where both small-scale hotel owners and corporate giants can come ahead and create new business and tourism opportunities. The market penetration will begin from Europe where the users of the platform will make most contribution and product feedbacks. The service will encourage users to use and support other users of the platform. The platform enables better user-experience, well-developed travel plans, lower intermediary charges, and enhanced reliability. The platform eliminated redundant mediators hence giving low transactions and service costs. The service charges are merely 8% whereas the industry giants usually charge up to 30% of the total sales. This means Tryvium will be able to deliver better services to the users for reasonable prices. The platform is soon set to launch the Trivium Gift Experience along with the several different services. The Gift Experience will enable you to gift your loved ones the pleasure to choose their favorite destination. It will be offering them hand-picked experiences all across Europe. The Gift box will be made available by the end of 2019. Trivium infrastructure will deliver a decentralized network to create a cost-effective booking platform where both small-scale hotel owners and corporate giants can come ahead and create new business and tourism opportunities.